Pentagon Marine Services Private Limited (PMS) started its operation in the month of April 2004. It was formally inaugurated at its new premises on the 31st August 2004 by the Honourable DG Shipping Mr. G. S. Sahni. PMS is a leading company in marine industries providing high quality services in the field of shipping and allied activities. PMS provides services as crew manning agent for a number of well known companies all over the world for company like Finaval, Tekne, SAM, MonteCarlo, Fingas. The company is also providing value added trainings to the crew and vetting services for its clients. ​PMS is member of MASSA group of companies. It is an ISO 9001: 2000 accredited organisation certified by the RINA Authorities. Recently the company was presented with the Excellence Award and Trans World Gold Star award by the Institute of Economic Studies for its innovativeness of quality products and services. 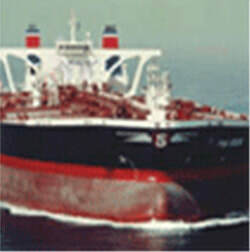 Mumbai (India) based PMS & its group of companies manages chemical, oil, gas and dry bulkers. Pentagon has its branch offices at Navi Mumbai, New Delhi & Chennai. Tel. : +91 22 2262 0092/93, Fax: +91 22 2262 0094.